We clean and treat all roofs with air or low pressure water, we also clean gutters with high power vacuum or by hand. Check out our portfolio, and get in touch with us TODAY! 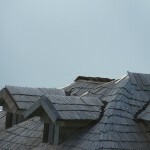 The roof of your home roof has some very important duties to take care of; primarily, protecting you, your family, and whatever else is inside your home from the sun, rain, sleet, snow, hail, and strong winds that can come during a storm and anything else our Pacific Northwest weather likes to throw at us. For your roof to do its job to the best of its ability however, it needs to be in good shape and maintained. It can't maintain itself, so this responsibility falls squarely on our shoulders as a homeowners. If not treated or prevented moss is capable of shortening the life span of untreated wood and asphalt roofing materials. Moss can grow thick and has a shallow root system which keeps the roofing materials damp for extended periods of time, this moisture promotes wood rot and can erode the asphalt in shingles as well as effect the appearance of your roof. Fortunately, moss is quite easy to remove and relatively simple to prevent. While this is within the grasp of a DIY'er having a one time service or a maintenance program will be more effective and save you time and effort. 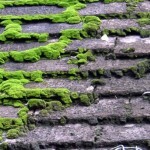 With our Pacific Northwest climate, roofs are prone to moss growth due to the region's ever present moisture content. Such growth can lead to premature failing of many roofing materials. It can also lead to roof leaks, especially in tile roofs. Our experience and methods are the safest way to remove moss and we are well equipped to address many roof cleaning situations. The moss treatment we use is a safe way to prevent regrowth of moss once your roof is clean. Additionally, depending on your roof's situation a regular application of our moss treatment (typically every 2-4 years) will help prevent future regrowth of moss. 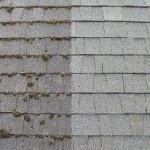 This will save you money, as you can avoid the cost of future roof cleaning or the cost of replacing your roof early. If your gutters are left uncleaned then debris can steadily build up, thereby causing damage to both the gutters and the downspout or worse to your home. 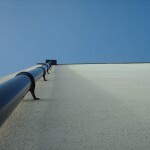 Rainwater is supposed to travel along a gutter's path, travel down and away from the house, through the downspout. If debris is not cleaned out of the gutter or the downspout it can eventually lead to damage to your home thru the overflowing water. Rainwater that spills over the sides of gutters could cause water damage to siding and windows. Keeping your gutters clean is key and a simple method to reducing potentially large bills for repair.